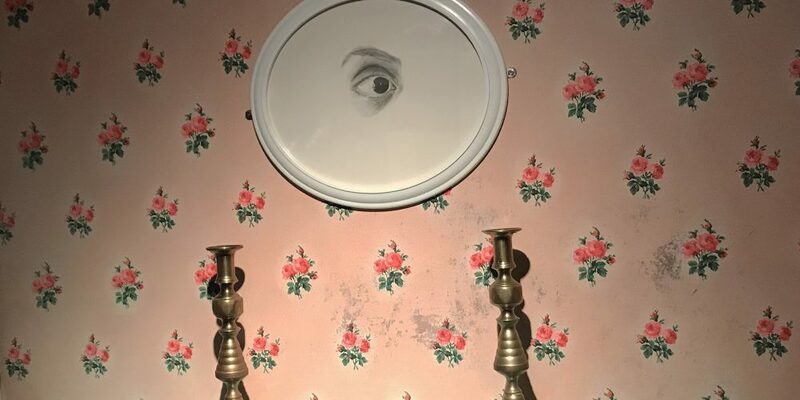 Outset England and Israel supported artist Maya Attoun’s exhibition ” The Charms of Frankenstein” in the Jewish Museum, London, curated by Dominik Czechowski. Maya Attoun’s exhibition celebrates the bicentennial of Mary Shelley’s iconic novel Frankenstein. The starting point is Attoun’s most recent project 2018, which is both a weekly planner and a limited edition artist’s book that revisits the year 1818 through the calendar of 2018. Attoun has also designed a mixed-media installation in the Welcome Gallery and interventions throughout the Museum to create a three-dimensional and participatory experience where past and present meet. In her book, Shelley explored the complex relationship between technology and human nature through the character of a living-dead monster spawned by the new science. She portrayed humanity as an arena of contradictory impulses: good and evil, love and hate, creation and destruction. The installation in this gallery becomes an experimental ‘laboratory’ that references the huge eruption of the volcano Tambora in 1815 which had a defining impact on the writing of Frankenstein. The multi-layered juxtaposition of images and objects here is marked by lack of hierarchy to create a collision between contexts and contents that offers an exercise in curiosity and play. Visitors are then invited to embark on a journey of exploration throughout the Museum, using 2018 to find items with numbers which correspond to the planner. This is an opportunity to both encounter old objects in new places and to discover Attoun’s original artworks and interventions in the galleries. the bicentennial of Mary Shelley’s Frankenstein first book publishing. During my visit to London at the Jewish Museum and at the Outset Studio-Makers residency, three objects had caught my attention. One was a 17th century red hand amulet from the museum archive, the second was a key chain which belonged to the studio makers and the third was a mirror, shaped as a shell, I bought at a thrift shop in Oxford. All are small, personal, pocket objects. Like the planner, these are objects for everyday use and are related to images in the book. my intention is to work with the museum collection and create a dialogue between the planner’s drawings and objects there. I will be displaying few planners for browsing, next to a box of red disposable gloves for use. Around it is a set of display cases with various objects and a few original drawings, or a book, or an article or sound. Viewers are invited to carry the planner to the display cases and around the 3 floors of the museum with red gloved hands. I think of the exhibition as one work weaved into the museum. A chain of associations which relay on the planner as an object and on the ability of narratives to change through time.